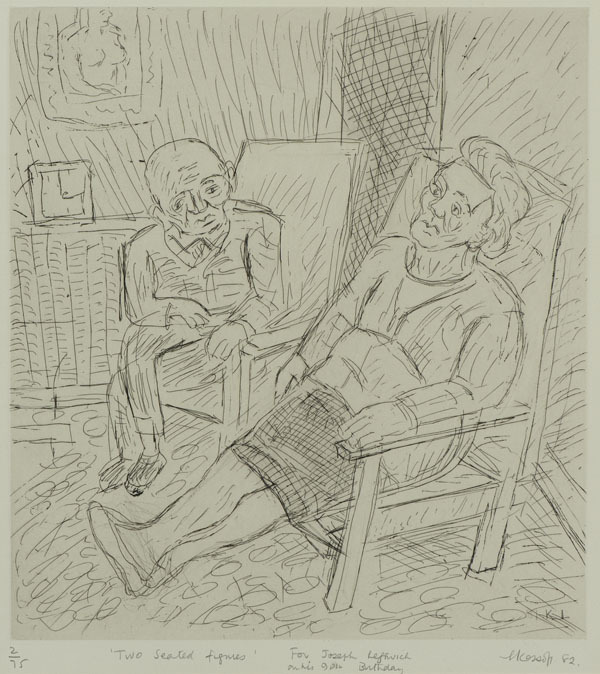 Leon Kossoff was born in Islington to first generation Russian-Jewish immigrant parents. As a child he lived in London's East End, where his parents ran a bakery. 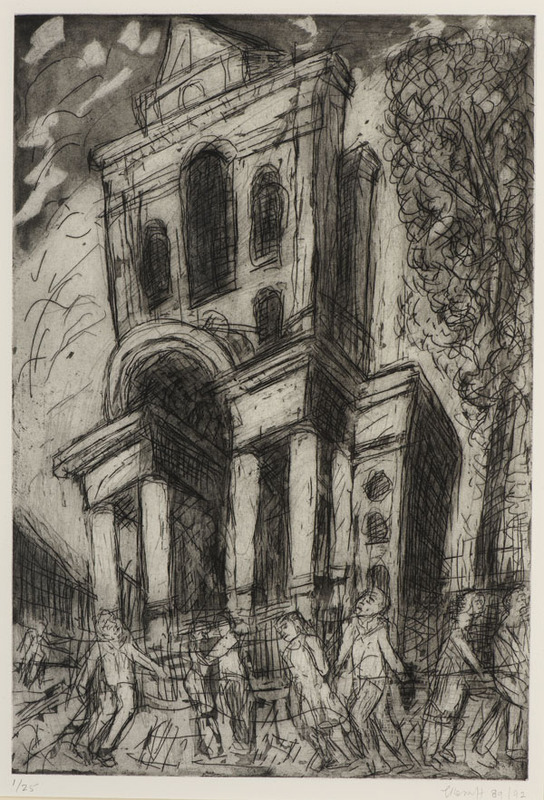 Initially trained at St Martin’s School of Art (1949-53), where his fellow pupils included Frank Auerbach and Eva Frankfurther, Kossoff also attended the Royal College of Art (1953-56) and took evening classes at Borough Polytechnic (1950–52) under David Bomberg alongside Auerbach. He graduated from the Royal College of Art in 1956. Kossoff received critical acclaim during the 1960s following his first exhibited work in 1956; the Arts Council and Tate both acquired his work by 1963, when he was elected a London Group member, exhibiting for the third and final time with the Group in 1964. Ben Uri featured his work at this time in a group show with Sandra Blow, Henry Inlander, Helena Markson and Archibald Zeigler, held in spring 1968. 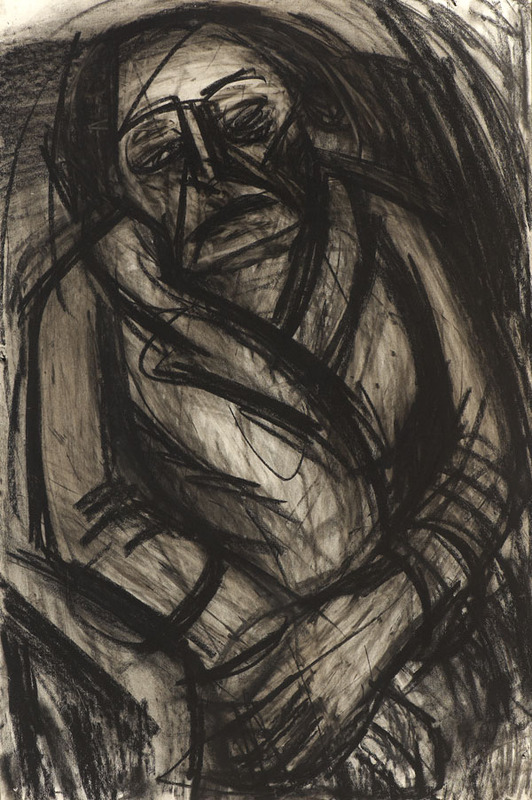 Kossoff has received recognition from the most notable critics of the day, including John Berger, who was impressed early on by the artist's 'shockingly thick' pigment and his 'equally heavily worked and very black’ drawings, observing that his ‘brooding hunched up figures […] fit as tensely in their panels as mediaeval figures in their niches'. 3 work/s by this artist from the collection are shown below. For a more detailed record and image please click on the link.